Welcome and thank you for recruiting at the University of Illinois at Urbana-Champaign College of Engineering! Engineering Career Services (ECS) helps connect employers and students through on-campus interviews, job postings, career fairs, events, and workshops. ECS serves all engineering and computer science students, as well as students receiving degrees in physics, mathematics and statistics. Chemical engineering majors are recruited through both ECS and the Chemical Sciences Placement Office (217-333-1050). Click each header below for additional information. All parties benefit when candidates make informed and responsible decisions. If you must rescind an offer, you shall contact the students and appropriate career services office immediately. Internship or full-time offer reneges are a serious breach of the student use agreement; should this occur, please contact the appropriate career services office immediately. All employers should extend offers in writing and be prepared to exhibit written offers to the appropriate career services office. Illinois does not condone the use of exploding offers or any other practice that puts unreasonable pressure on student. These offers do not afford a candidate the appropriate amount of time to either accept or decline and put enormous pressure on students to make a decision before they have completed the interviewing process. We understand that firms need to know their hiring needs prior to the start of recruiting, however, it is in the firm’s and students’ best interest if students are granted ample time to make informed decisions. Internships or Co-ops Conversion Full-time conversion offers OR extension of internship offers resulting from previous internship or co-op. Three weeks after the start of the subsequent academic term or three weeks after the offer is made, whichever comes later. On occasion, students may request an extension beyond the dates given. Each request should be considered on a case by case basis, and be accommodated if possible. Please feel free to contact a member of the Recruiting Team to discuss any questions or concerns related to this policy. The possibility of negotiating decision deadlines should be clearly stated to students at the time the offer is made for both full-time and internship positions. Handshake @ Illinois is now the University of Illinois at Urbana-Champaign’s centralized career services management system that allows employers to post full-time, part-time and internship/co-op opportunities online. To log in or create an account, click here. Through this database, you’ll also receive important messages/announcements from our office about registering for career fairs, requesting interview rooms, and other employer campus engagement activities. There is no cost to register for a Handshake @ Illinois account. To learn more about creating an account click here. For a link to assist with posting jobs, click here. 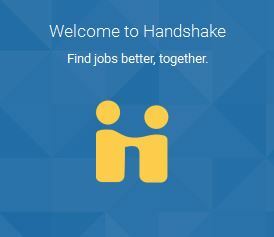 If you have questions, please consult Handshake’s employer help center. ECS serves all engineering students through on-campus interviews. Chemistry and chemical engineering majors are recruited through the Chemical Sciences Placement Office (217-333-1050). However, these students may also register with ECS and interview along with other engineering students through the ECS Office.) ECS provides access (free of charge) to our 39 room interview suite. Please note that we do not allow interviews or recruiting related activities during finals. Final exam dates are listed on the calendar. Interview rooms can be requested via Handshake @ Illinois under the “Interviews” tab. To see the current and upcoming on-campus interview seasons please click on Recruiting Calendar tab. For information on requesting day after career fair interview space please visit: http://ecs.engineering.illinois.edu/recruiting-students/career-fairs/. To learn a little more about recruiting engineering students, view the ECS Corporate Brochure. As visitors to our campus you are expected to abide by university policies and procedures, including sexual harassment policies. Please review our campus recruiting policies at http://ecs.engineering.illinois.edu/for_employers/principles_guidelines prior to your visit. Both recruiters and students check-in in room 3300 Digital Computer Laboratory (DCL) located at 1304 West Springfield Avenue, Urbana, IL (third floor, east side). Recruiters receive a logistical email approximately one week prior to interview date. MobileMeter is the most convenient option for parking on our campus allowing drivers to pay with a credit or debit card and add time remotely as needed. Users can get started by downloading the free MobileMeter app from the iPhone App Store or Android Google Play or by registering at http://www.mobilemeter.us/. MobileMeters are available in campus parking lots and street parking. You will need the zone number, meter number, license plate number and payment information to get started. When visiting Digital Computer Laboratory the MobileMeters are located in campus lot B1 (located at the south end of the parking lot across the street from DCL) and in campus lot B4 (which is the parking garage located at the corner of University Avenue and Goodwin/Mathews). Make sure you park at a meter with an “I” on it, if you park anywhere else in the lot you will get ticketed and/or towed at your own expense. These meters also accept silver change, the cost is $1 per hour for up to 10 hours. There is a change machine in Grainger Library across the street from DCL. Other options include staying at a hotel, Hampton Inn Hotel and the Illini Union Hotel both offer complimentary parking to hotel guests and are within a 5-minute walk to DCL. ECS provides a box lunch to all recruiters and greeters that will be interviewing both morning and afternoon during the normal on-campus interviewing season. More information is provided at check-in. You are responsible for building your own interview schedules. Following are three templates you can use. You can also consider using Doodle (free service). Our office has eliminated excess paper. You are required to print your own schedules, resumes, etc. Please provide us a paper copy of your updated interview schedule at check-in or feel free to email them to Katherine Darr at kdarr@illinois.edu. We do not make copies of any material. There is a Fed Ex copy shop a few blocks from DCL at 524 E Green St (#101), Champaign, IL 61820. You can email your document and they will deliver if not too busy. Here’s the link: http://local.fedex.com/il/champaign/office-0137/copy-print-services.html. They are open 7:30 AM – 9:00 PM Monday through Friday. All (non-career fair related) College of Engineering interviews scheduled through ECS are held in our 39-room interview suite located adjacent to the ECS office in the Digital Computer Laboratory (DCL). The physical address is 1304 West Springfield Avenue, Urbana, IL (third floor, east side). The “Visit Champaign County” website (http://www.visitchampaigncounty.org) has detailed information on traveling to Champaign-Urbana, hotels/lodging, and if time allows things to do during your trip. The ECS Career Partner Program provides companies with unique opportunities to build your brand on campus and increase visibility, to strengthen your relationships with students, and to support our office in preparing students for successful careers. Please click here for a list of specific benefits and fees. Please contact us at 217-333-1960 for greater detail. Our career fairs are open only to all University of Illinois at Urbana-Champaign current students and alumni. For additional information please visit: http://ecs.engineering.illinois.edu/recruiting-students/career-fairs/. Space requests to host an information session/tech talk at the Illini Union are requested via the following link: https://illiniunion.illinois.edu/EventServices/SubmitRequest.aspx (click the “Illini Union Online Space Request Form” link). Additionally, many student organizations would be happy to work with you to host an information session for their student members. Contact Engineering student societies directly at http://ec.illinois.edu/societies/. Once you have confirmed the date, time and location for your event, we encourage you to post the event on Handshake @ Illinois (http://handshake.illinois.edu) under the “Events” tab. By doing so, ECS will be able to help promote your event through social media, electronic signage and departmental messages. Whenever possible, recruiting events should be scheduled during the school week (Monday through Friday) when classes are in session during the Fall, Spring, and Summer terms. Students are unlikely to be available to attend events outside those times. Click here for University of Illinois at Urbana-Champaign academic calendars for current and future terms. Engineering Council is a union of engineering societies and committees dedicated to enriching the student collegiate experience through a distinctive array of programs and services. Engineering Council is the students’ voice in the College of Engineering and is designed to serve the needs of the engineering community. EC consists of an executive board that oversees 15 committees and over 80 professional and honorary societies. We encourage all employers to contact applicable societies at http://ec.illinois.edu/societies/ to ask them to blast email their students with your recruiting information. Looking for more information about our students? Make sure to read the Illini Success 2017-2018 College of Engineering Report and the Illini Success Three Year Trends which includes post-graduation statistics and trends. Visit the interactive Hire Illini website for up to date statistics regarding current and former students enrolled at the University of Illinois. They are several ways that recruiters can get more involved with our office. Becoming an ECS Career Partner is one way, but other great ways are to assist with events like Walk-in Resume Reviews, Lunch & Learns, Career Boot Camp, and various workshops. For questions, current opportunities and/or to sign up when you know you’ll be on campus please contact 217-333-1960. Where are they now? A statistical overview of the successes of the 2017-2018 graduating class of the College of Engineering. These statistics include graduate outcomes (employment after graduation or continuing their education), demographic, as well as geographic information. Claim your Handshake @ Illinois account to search for jobs, attend career events, learn about employer events and schedule career advising appointments.